Dollar TreeThese crayons are sold for $US1 at Dollar Tree. On Tuesday, US Public Interest Research Group released its annual report about the safety of school supplies. 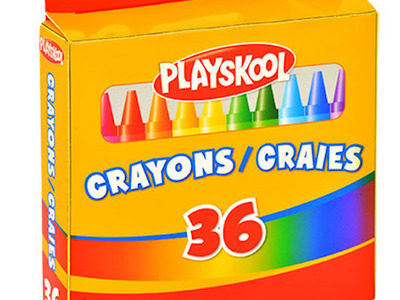 Dollar Tree’s Playskool crayons, specifically the green-coloured crayon sold in each $US1 pack, were highlighted as testing positive for traces of tremoline, a kind of asbestos. It recommends that Dollar Tree recall the “asbestos-tainted crayons” and contact customers to warn them about the crayons. In its investigation, US PIRG purchased children’s school supplies across the country, from big-box stores, dollar stores, drug stores, online retailers, and arts-and-crafts stores. Samples were sent to an independent laboratory, the STAT Analysis Corporation in Chicago, and any that tested positive for potentially harmful chemicals were retested for further confirmation. The crayons that tested positive were purchased in a Dollar Tree in Chicago. This is not the first time that asbestos has made its way into crayons. In 2000, asbestos was found as a binding agent in both Crayola and Rose Art crayons. At the time, the US Consumer Product Safety Commission said that the risk of children being exposed to these fibres through inhalation was extremely low. However, it asked manufacturers to voluntarily recall the crayons. “We recommend that children not be exposed to asbestos. This level of asbestos is low. But because children are a vulnerable population, we think it is an unnecessary risk to expose children to a known carcinogen like asbestos,”US PIRG’s Kara Cook-Schultz said in a statement emailed to Business Insider. “We have informed the CPSC about our recent Playskool results and asked the CPSC to do their own investigation. We have asked Playskool to do a voluntary recall and to reformulate their crayons, as other manufacturers have done in the past,” Cook-Schultz said.